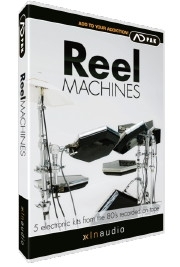 Reel Machines is an electro injection for Addictive Drums featuring five full electronic kits from the eighties. All samples were recorded on analog tape using mint condition drum machines and modules. 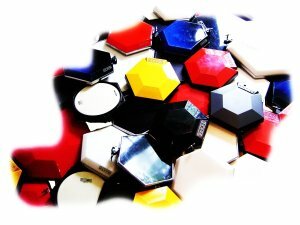 Simmonsmuseum is proud and happy having provided mint SDSV modules and pads for sampling and artwork.